A review article published in the British Journal of Pharmacology assesses antioxidant approaches for treating neurodegenerative disorders such as multiple sclerosis, Alzheimer’s, Parkinson’s, and amyotrophic lateral sclerosis (ALS). The review, “Microglia antioxidant systems and redox signalling,” notes that certain compounds associated with oxidative stress appear to be promising therapeutic targets for treating neurodegenerative disorders, with researchers investigating the potential for enhancing antioxidant capacity by targeting what’s known as the Nrf2 pathway — a major regulator of antioxidant response. The authors also note ongoing development of techniques to inhibit NADPH oxidases of the NOX family, which are key sources of reactive oxygen species (free radicals) that contribute to a wide range of pathological processes, potentially including immunosuppression and hypothyroidism. Increased NOX activity has also been found to contribute to a large number of other pathologies, particularly cardiovascular diseases and neurodegeneration. In a 2008 paper published in the journal Immunopharmacology and Immunotoxicology and titled “Antioxidant therapy in multiple sclerosis,” authors Abbas Mirshafiey and Monireh Mohsenzadegan note that reactive oxygen species (ROS) play an important role in various events underlying the pathology of multiple sclerosis. They observe that while the development of MS is not completely understood, various studies have suggested that ROS contributes to the formation and persistence of MS lesions by acting on distinct pathological processes. 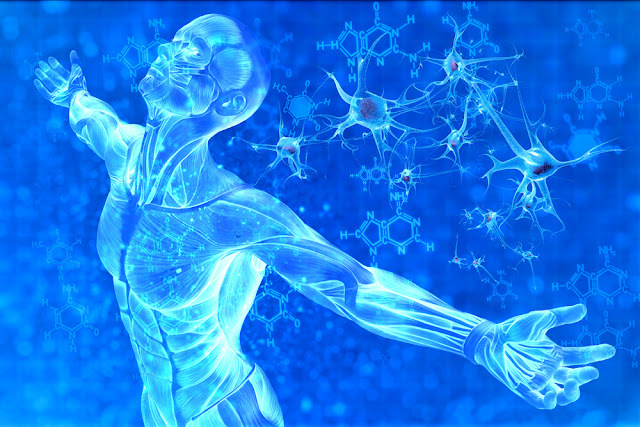 Potential strategies for limiting oxidative stress associated with the development of neurodegenerative diseases include reducing production of nitric oxide and preventing mitochondrial dysfunction. “There are still several gaps in our understanding of the basis of oxidative damage in neurodegenerative disorders. However, it is increasingly accepted that many diseases share common pathways of oxidative stress-related damage, and it’s likely that significant progress will be made in the design and implementation of effective therapeutic strategies in the next few years,” said Dr. Gethin McBean of the UCD Conway Institute of Biomolecular and Biomedical Research in Dublin, Ireland, and lead author of the British Journal of Pharmacology article. McBean and her colleagues note that glial cells called microglia — which are the resident immune cells of the central nervous system (CNS) — are associated with oxidant production by NADPH oxidase (NOX2) and implicated in many CNS disorders. In a 2007 paper published in the journal Current Medicinal Chemistry and titled “Microglial activation and its implications in the brain diseases,” researchers from the National University of Singapore note that an inflammatory process in the central nervous system mediated by activated microglia is believed to play an important role in the pathway leading to neuronal cell death in a number of neurodegenerative diseases, and that activation of microglia is a hallmark of brain pathology. They say it remains controversial as to whether microglial cells function beneficially or detrimentally in various neuropathological conditions, but that suppression of microglia-mediated inflammation has been considered an important strategy in neurodegenerative disease therapy. Several anti-inflammatory drugs have been shown to repress the microglial activation and to exert neuroprotective effects in the CNS, although the molecular mechanisms underlying these effects remain unclear.